Wan Yang Health Product & Foot Reflexology Centre has 14 locations in Singapore, including one within City Square Mall (180 Kitchener Road). 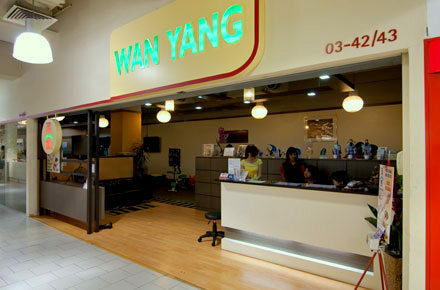 Established in 1989, Wan Yang Health Product and Foot Reflexology Centre provides foot massages, back massages, nutritional supplements, as well as magnetic products. Magnetic products category includes magnetic pillow, magnetic mattresses (Magstar), magnetic knee and elbow guards (Macscut), magnetic waist support (Nac Bun), and magnetic feet support (Magpin). Wan Yang Health Product & Foot Reflexology Centre has an official Facebook page available, located at www.facebook.com/wanyanghealth. Following the Facebook page, you’ll learn more about the centre’s products and treatments, promotional offers, events, and more.